Frontal myelogram, showing a very dense vertebral body resulting from metastatic disease of the bone. 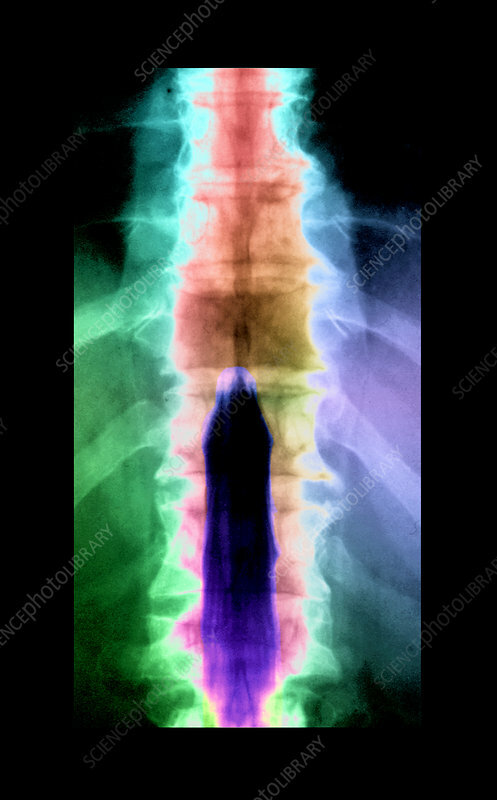 The metastatic tumor invades the spinal canal and causes compression of the spinal cord. Myelograms are no longer a doctor's preferred method for testing this type of abnormality; MRI is more frequently used because it is non-invasive and provides more information than does a myelogram.